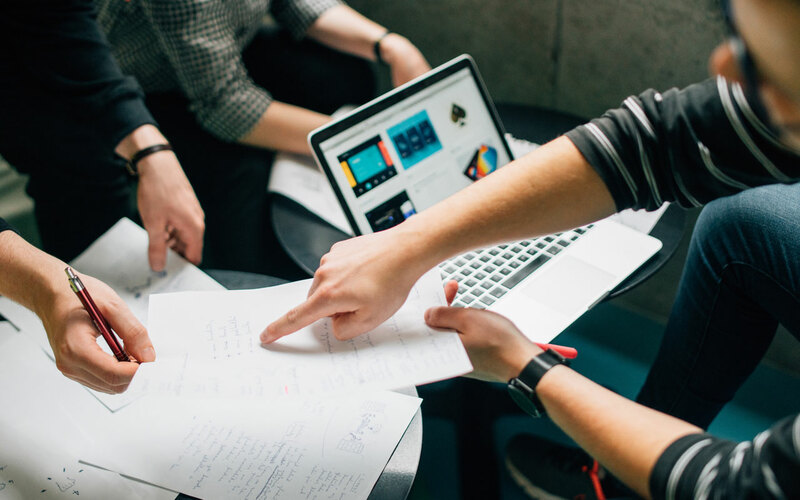 As more organizations adopt product management as a central role and activity, common practices and processes have begun to emerge. For the last 3 years here at Alpha, we’ve been tracking the emergence of product management, and we’ve noticed the rapid standardization of the discipline. To that end, in order to highlight best practices and cutting-edge techniques, we surveyed 140 digital product managers about key day-to-day activities. While you can read the full report here, check out our 3 immediately actionable takeaways below. Communication is central to cross-functional teamwork, and is therefore the most important activity for product managers. But one form of communication in particular stands out: one-on-ones. One-on-one conversations aren’t just helpful for aligning team members and stakeholders. 60% of product managers also utilize one-on-one interviews of customers and prospective customers when testing and validating new features. Communicating regularly and on a personal level can ensure that all stakeholders’ voices are heard in the decision-making process, and that users’ concerns are front-and-center of any product innovations. Photo by Štefan Štefančík on Unsplash. Depending on the size of a company, product managers have varying degrees of exposure and interaction with executive teams. More than half of product managers we surveyed said that their organization’s executives give input for what features are added to the roadmap. Further, 69% of product managers regularly create reports for senior leaders, while nearly half do so for the C-suite. Product managers who want to be successful though make sure that such interactions are 2-way conversations. For example, roadmap “suggestions” from executives are often unvalidated pet projects that can derail product development. Product managers need to understand executive interests and objectives and be able to align teams around their vision and also to push back when suggestions are unproductive. It’s important to create strong working relationships with the executive team early, rather than waiting until an uncomfortable confrontation. While executives frequently “offer” their input on the product roadmap, they’re far from the group that product managers actually want to collaborate most with. That honor rightfully goes to customers. 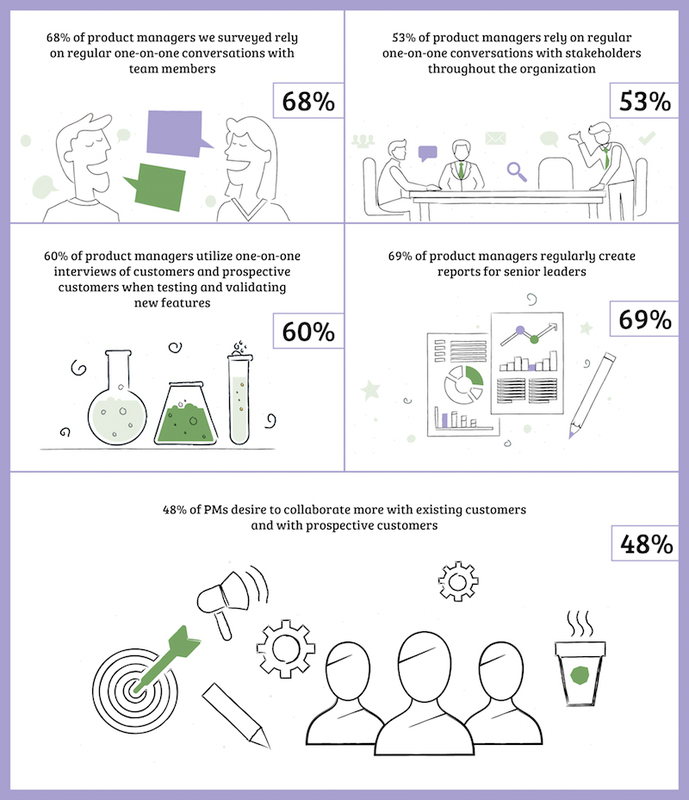 While only 32% of product managers get input from customers before adding a feature to their roadmap, about half of product managers we surveyed wish they could collaborate more with customers and potential customers. Ultimately, empathy for customers is one of the most important ingredients for a successful product, and we expect to see the percentage of roadmaps with customer input increase in the coming years. Sam Henick is a senior at Columbia University and is a quantitative analyst intern at Alpha. He has worked at prestigious firms such as CATO and FiveThirtyEight.